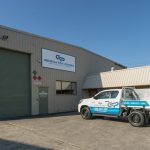 After 16 years of consistent growth, On July 2nd 2018 Generator Power Australia expanded its operation into QLD. Our new Brisbane branch is conveniently located at 28 Duntroon St Brendale. Our team are ready to give advice and answer any enquiries on the sales, service and hire of quality generators. Need assistance scoping a generator for a project? No matter how big or small, the team at Generator power understand the needs and power demands necessary to ensure your project stays on target. For the best advice, service and sales, call now to speak with a Generator Power specialists. 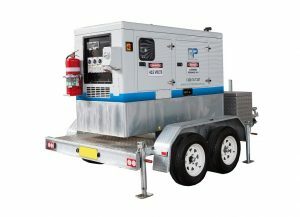 With over 80,000 square feet of floor space, Generator Power has a large range of New and used generators to suit all applications. Speak with one of our Generator sales specialists today, we take the time to understand your needs, your budget and time frames for delivery. We get generators to our clients fast. 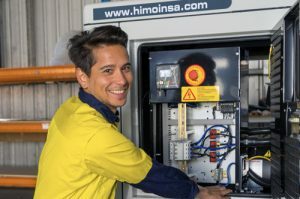 Generator Power has been delivering diesel generator brands such as Himoinsa, Cummins, Kobota and Yanmar to major projects throughout Australia. Reducing our clients downtime is a priority, our generators are delivered fast and are backed with our Full warranty guarantee. Short and long term Diesel Generator hire is part of our service. We understand your needs and your budget. From 10kVa up to 650kVA Three Phase Diesel Generators, we have the power you need. Our Fleet of well maintained generators are no more than 2 years old, you can trust that each units performance to be problem-free and efficient to your needs. We are proud to stock the New Himonisa range of diesel generators. The quality and power of this Japanese built engine is making them the fastest growing units on the market. YANMAR – HIMOINSA HYW-13 M5 Open diesel generator is powered with Yanmar’s economical & reliable 3TNV88 diesel engine and backed by a full manufacturers warranty ensuring you peace of mind. YANMAR – HIMOINSA HYW-13 T5 Canopy diesel generator is powered with Yanmar’s economical and reliable 3TNV88 diesel engine and backed by a full manufacturers warranty ensuring you peace of mind. HTW-1260 T5 HIMOINSA Containerised Diesel Generator is powered with an economical & reliable MITSUBISHI S6R2 PTA diesel engine coupled to a Stamford alternator. HFW-500 T5 Himoinsa Canopy diesel generator is powered with an economical & reliable Iveco C13TE7 diesel engine coupled to a Mecc Alte alternator. HSW-450 T5 HIMOINSA Canopy diesel generator is powered with an economical & reliable Scania DC13 72A (02-13) diesel engine coupled to a Stamford alternator. Our existing customers know how great we are. If you’re a new customer, you will quickly appreciate our service commitment to all of our customers. Friendly personalised service and years of experience with Diesel Generators, Generator Servicing and Generator Parts makes Generator power first choice for Generator Sales, Service and Hire. We welcome existing and new clients to visit our Brendale branch and meet our friendly team, who are always ready to assist. 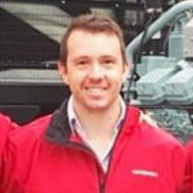 My name is Aaron Robins, I’m the sales manager at Generator Power. I have been in the generator game for over 10 years. I have supplied generators to residential and commercial clients for a very wide range of uses. My aim in writing this short article it that I may be able to arm you with the right information in order to help you make a wise decision. There are many people who make poorly informed decisions in my industry. This commonly results in loss of finances, wasted time and bucket loads of stress. I believe in doing a job right the first time and with as little stress possible. As a result I aim to educate potential customers so that people avoid these issues before they happen. Contact Generator Power and let us run through our Generator Needs Analysis in order to help you make the right choice up front!